With the passing of Robin Williams on Monday morning came a plethora of grieving fans and celebrity friends. 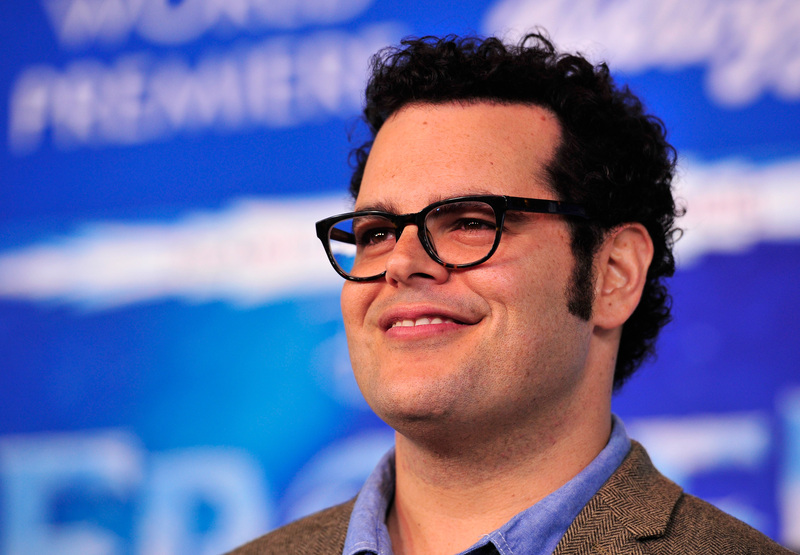 Directors who had worked with the star shared memories, fellow actors offered kind words about the deceased comedian, and now, Frozen's Josh Gad penned a letter about Robin Williams — from one Disney voice actor to another. Gad writes of performing in The Book of Mormon on Broadway, and looking out in the audience one night to see a bearded-Robin Williams smiling back at him. He called the experience of performing in front of his idol like, "a heavyset Jedi warrior, who is desperately out of breath, performing for a master Jedi." Gad describes their adorable meet cute after the show, and the friendship from which their encounter bloomed. When Gad was offered the part of Olaf in the wildly popular Frozen, he told the producers that he wanted his performance to echo that of Williams' Genie in Aladdin. And for those of us who have had the pleasure of seeing both films, Genie's huge heart and hilarious antics are present in Olaf the Snowman. Both Olaf and Genie want for something more — for Olaf it is the summertime, and for Genie it is freedom — but aren't those really the same thing? Both characters use their charm and humor to make light of their less than ideal situations, and put others needs before themselves. They are both nonhuman, inanimate objects, but we grow to love and care about each character as much as, if not more than, their human counterparts. Olaf will never remotely touch the tour de force that is Robin's Genie. Because there is only one Robin Williams. But the joy and laughter that my little snowman has brought to children is because of the man who has left this world far too early. A man who taught me to be free, to be childlike, and a man who taught me to get out of my own way as a performer. His gift was to take all of our pain away and to allow us to escape. And then he writes something so heartbreaking, so true, and so very bittersweet. "If only we could have returned the favor."